Naveen Prakash is a young teacher from Jhajha, Bihar. He is hailing from a middle class family but in recent times he was in much talk when he stood up against the government for an important issue. He was the only one who have voiced against the IAS question paper in English only issue. Naveen not only stood up for national language but also won the case and authority had to change their decision. Now this young achiever will make another buzz by appearing in much controversial and popular reality show namely Bigg Boss Season 10. Naveen was born and brought up in a remote village from Bihar namely Jhajha. He was born on July 25th, 1990. 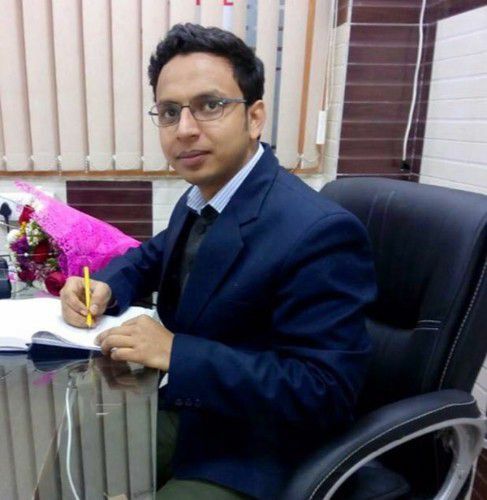 Only 26 years old boy is now a successful teacher who trains students for UPSC examinations in Delhi. He did his graduation from Delhi University and after that he started teaching students in Delhi only. Now he lives in the capital city and trains UPSC students for their upcoming exams. Naveen likes to read, write and also loves to have fun in life. He keeps writing poems and posts them to social networking sites where he has quite a large number of followers. Naveen Prakash was always an enthusiastic person since his student life. During his University days he used to be the students’ leader. He had presented a remarkable speech against CSAT papers and its cons. After completing his education under Delhi University, Prakash started mentoring students who are willing to crack UPSC exams. In a recent time he had protested against the IAS papers that have questions written only in English language. The authority denied changing the rule but he fought back for the equal right of the national language Hindi. He won the case and the government had to change the rule and add Hindi language in the question papers. Naveen Prakash is also famous as poet, speaker and activist. He has appeared in many news shows where he had put up his views against many sensitive issues in society. Naveen Prakash is currently involved in teaching profession and also frequently takes part in many social activities. He has already been selected as one of the contestants in Bigg Boss Season 10. As a non-celeb contestant getting a chance to audition for such a big show is remarkable as well as memorable for Naveen Prakash. Many people have raised the question that why should he be a part of such entertaining show that involves mostly fights and controversies. The show is no way close to any social cause or activity. It was fully entertainment show. The answer is pretty convincing that Naveen is not only most educated among all the contestants but also is quite a matured and logical guy. He would be a big help if there is any fight in the house during the show. He is an intelligent, smart and solved sort of a guy who can also mentor people in the house. If anyone thinks that teachers are conservative and angry like before then Naveen will change the view for sure. He is fun loving, chubby and full of life unlike the conventional teachers from earlier times. He is quite active in social media networks like Facebook and Twitter. He also owns a website with his name. His social networking posts are witty as well as full of fun. No one can be imagined a teacher who can stand up such serious and sensitive issues can be so much fun in real life. Naveen Prakash is an achiever as wherever he went he successfully reached his goals. From student life to teaching life, he has done tremendous jobs and that too successfully. His biggest achievement till now is when he won the case against the government on IAS papers issue.